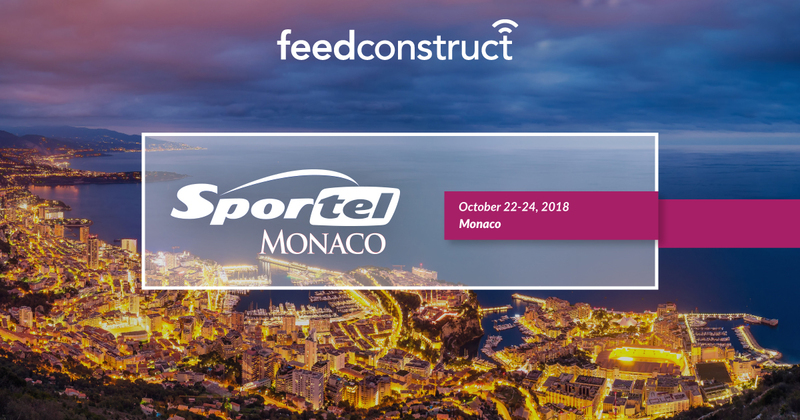 All the industry business broadcasters will travel to Monaco on October 22 - 24 to participate in annual SPORTEL Monaco Summit 2018. Attending the summit, FeedConstruct will share its industry-substantial creations and will give those present another source of beneficial business models and ideas. The team powered by BetConstruct will take a chance to present there its Friendship Platform which is a peculiar offer for worldwide sports content providers and federations. Other than that, diligence will as well be given to our 4 in 1 solution which includes responsive and speedy Odds Feed, global scale Live Video Streaming, Statistics and a real-time Live Scouting Data.